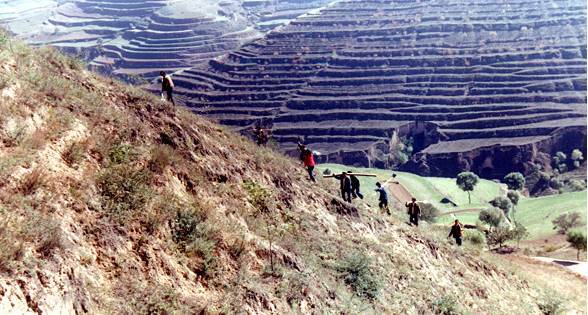 Controlling soil erosion and ecological balance is a long-term duty, must be mobilize hundreds and thousands of farmers to improve hundreds and thousands hill and valley. 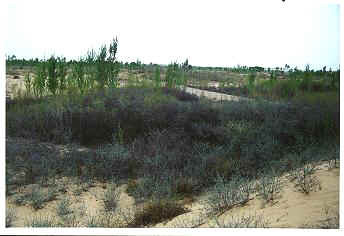 (A)Improved desert by seabuckthorn shrub in Yu Lin, Shaanxi province. 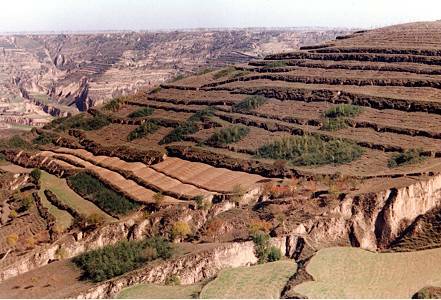 (B)Controlling soil erosion in abrupt slope. Rounded shrub of seabuckthorn in wasted field.